On its test flight on Saturday, the aircraft - called the Stratolaunch - reached speeds of 304 km/h and altitudes of up to 17,000 feet. The dual-fuselage plane has a wingspan of 385 feet and is now the largest aircraft by wingspan to ever take to the skies. 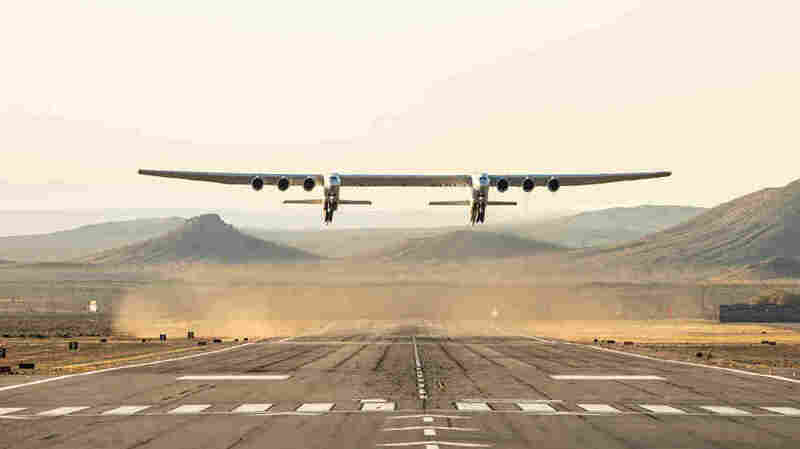 A release had the unbelievable milestone of Stratolaunch announced. Allen, who co-founded Microsoft with Bill Gates in 1975, announced in 2011 that he had formed the privately funded Stratolaunch. However, when it comes to planes, it appears the industry is moving in the opposite direction as they are not only trying to fit more passengers into planes for long-distance flights but now also creating massive planes in which to launch rockets from. The reinforced center wing can support multiple launch vehicles, weighing up to a total of 500,000 pounds, according to the venture. The aim of the company was to bring "airline-style access to space" as a viable alternative to launch systems that are ground-based.